As technology becomes smaller, faster, shinier, more powerful and even more colourful, tech heads and pundits remain on the lookout for the next trend in smart devices. At CES this year, Samsung reveald its new Galaxy Note Pro and Galaxy Tab Pro devices, but according to some sources, it also held a private event in which it gave the world its first look at a device boasting the first ever foldable AMOLED display. 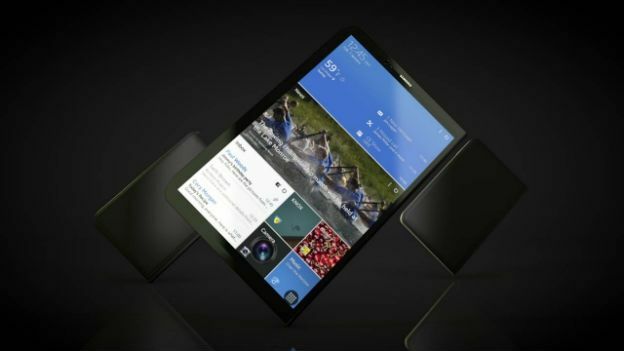 The news wasn't completely unheralded; back in 2013, Samsung filed a patent for a tablet with a completely foldable screen, so the fact that it had all some foldable touchscreen smart devices to show off at CES wasn't a complete shock. However, it does give rise to speculation that the CES event could foretell the malleable shape of Samsung's future devices. Since we at T3 are fond of speculating on any new stylish trend in tech, we decided to produce an unofficial concept render of a foldingSamsung tablet. We've christened it the Galaxy Note Book and here's hoping we see it - or something like it - at a tech industry showcase soon.